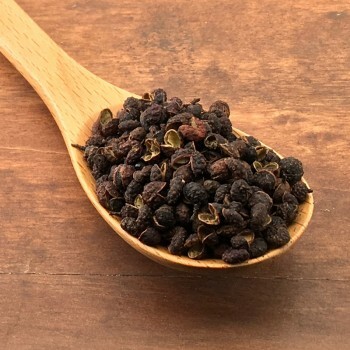 The Cubeba pepper is characterized by a small stem or little tail that makes it immediately recognizable. It is aromatic, with a spicy flavor and a hint of lemon.In the dishes it is advisable to add it at the end of cooking and whole or crushed. It can be combined in an interesting way even with sweets or cockayl. Also the pepper of Swechuan is not a pepper but a small fruit. It has a fruity and fresh citrus flavor (grapefruit and lemon). It is very prized and appreciated by chefs all over the world. It is recommended on fish, even on cold pasta with fish, marinades, but it is also used a lot in pastry, a combination of chocolate or exotic fruits, especially pineapple. 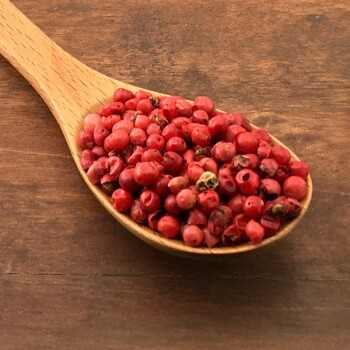 The pink pepper is not a real pepper but a berry. It is native to the highlands of Bolivia, Peru, Chile. 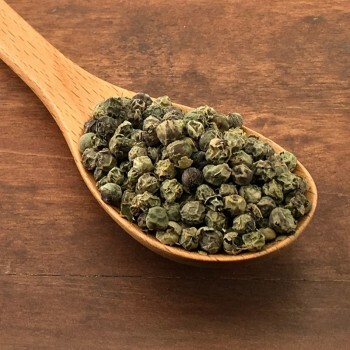 It has an aromatic and delicate flavor, slightly spicy. Ideal for soups, risottos and fish dishes, it is typically served with salmon. It can also be added to salads, fruit salads, desserts and fresh cheeses and chocolate. This blend has the scent of Sicilian oranges. It combines well with fish dishes and seafood pasta but is born to go with salads, arancini, chutney fruit compotes. Ingredients: Pepper, Orange, Salt, Sugar, Natural Orange Oil. This mixture is perfect for the Barbecue of meat or for all grilled preparations, pitch, grilled vegetablesIngredients: Pepper, Chili Jalapenos, Paprika, Garlic, Onion, Sea Salt, Levistic, Smoked Paprika, Cane Sugar, Vegetable oil of various seeds . 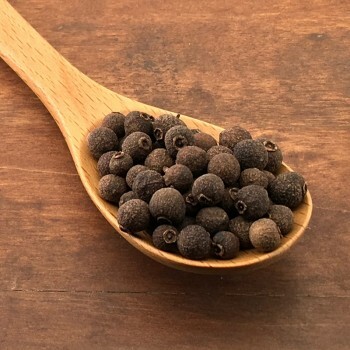 This pepper (in reality berries) combines hints of many spices such as cloves, nutmeg, cinnamon. It is widely used in cakes and spicy Christmas cookies or in desserts with fruit. It gives an interesting touch to game or ragu'. It is among the best pepper in the world. the Tellicherry pepper is distinguished by its black color with dark red nuances. It is aromatic and medium-spicy, It adapts well to all preparations. In green pepper the berries are harvested and left to dry again unripe.Used for various preparations, it has a slightly mentovated aftertaste. The fillet with green pepper is very famous, also excellent with white meats or fish. A sturdy pepper with a dry spicy flavor, and an aftertaste of undergrowth and resin.Excellent whole for seasoning flank steak or ground for all the preparations at the end of cooking. 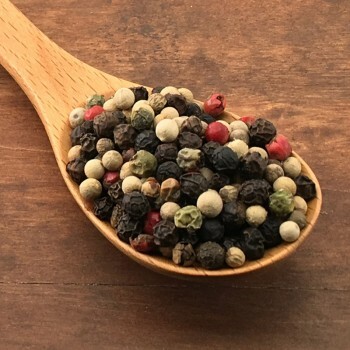 This mixture is an explosion of flavors, is very colorful and decorative to be seen and is extremely versatile and used for all preparations.The composition of the Sarawak Fantasia pepper is divided as follows: 35% black pepper in Sarawak grains, 40% white Sarawak pepper in grains, 15% Indian green pepper in dried grains, 10% pink curapipe berries from Brazil. 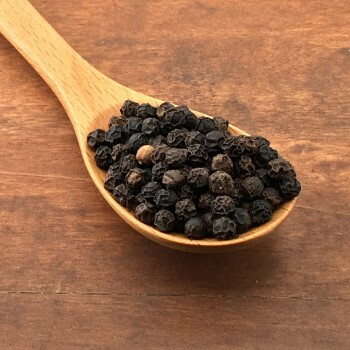 The black pepper Sarawak of the Piper Nigrum plant, is a pepper native to Borneo. 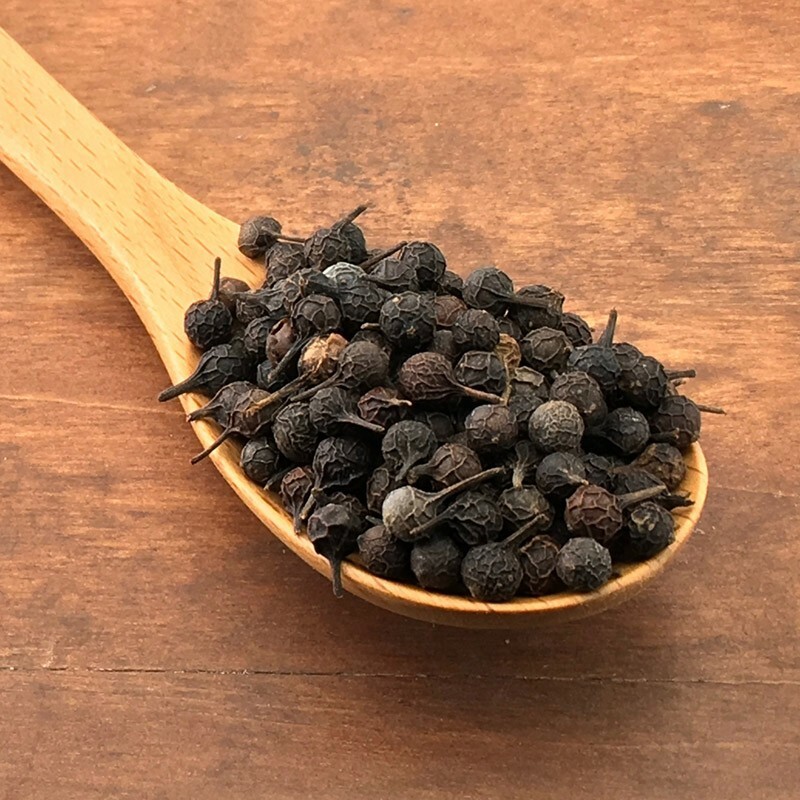 The black pepper Sarawak is a traditional pepper, very common, loved in the best kitchens for its light but intense taste.